Sindhu here. I am so glad it is Friday finally! 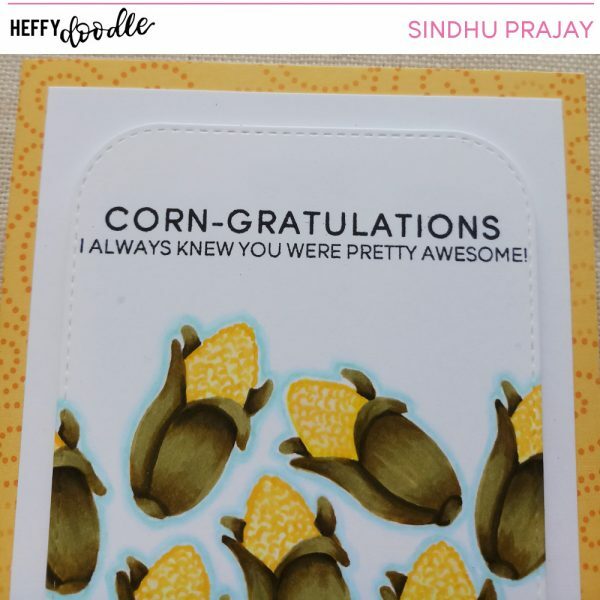 I have a fun card to share with you today. I used the ‘Veggie Patch‘ stamp set from the latest release and used only a single image from that set. 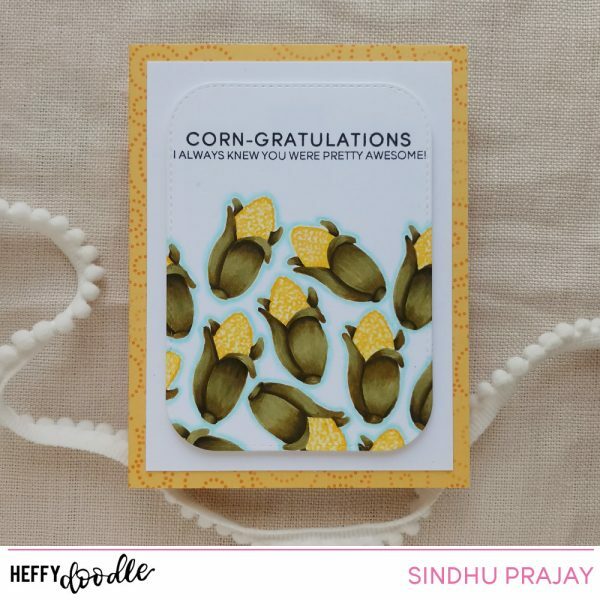 First, I started by stamping the corn image multiple times with a light coloured ink on a piece of cardstock. I coloured the images with Copic markers. Once I was done colouring, I used a die from my stash to trim the panel. I went over with a light blue marker around the images as I felt something was missing. Once I was satisfied enough, I stamped the sentiment. I combined the sentiment from Veggie Patch with a sub sentiment from Everyday Sentiment Duos. 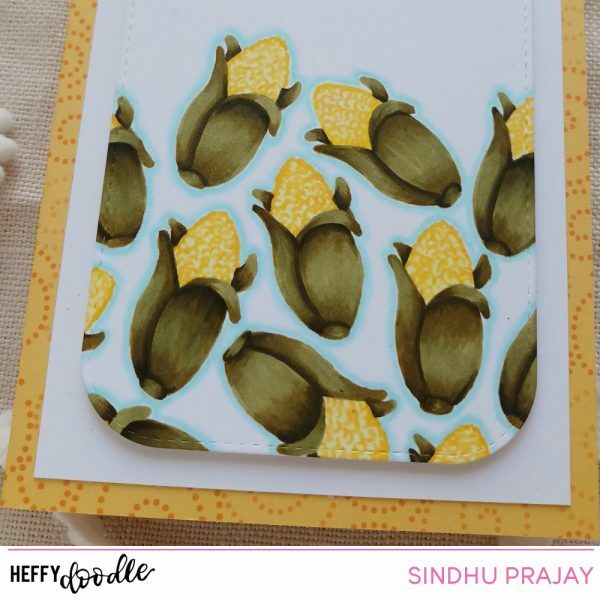 I layered the stamped and coloured panel on another piece of white cardstock and adhered them on a patterned colour card base.